​A poignant and inspirational love story set in Burma, The Art of Hearing Heartbeats spans the decades between the 1950s and the present. 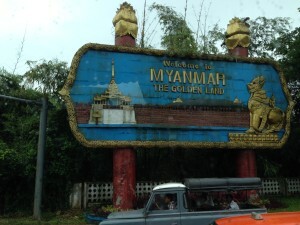 When a successful New York lawyer suddenly disappears without a trace, neither his wife nor his daughter Julia has any idea where he might be…until they find a love letter he wrote many years ago, to a Burmese woman they have never heard of. Intent on solving the mystery and coming to terms with her father’s past, Julia decides to travel to the village where the woman lived. There she uncovers a tale of unimaginable hardship, resilience, and passion that will reaffirm the reader’s belief in the power of love to move mountains. ​​Two autobiographies, one work of historical fiction and one work of history were on the ballot as finalists for the 2014 book of choice. The other contenders were: My Beloved World by Sonia Sotomayor; I Am Malala by Malala Yousafzai; Mary Coin by Marisa Silver; and One Summer: America 1927 by Bill Bryson. ​The author of The Art of Hearing Heartbeats came to Clifton Park and shared the entertaining story of how he got “here” as a highly successful published author: “Persistence means victory.” Jan-Philipp Sendker, born in Hamburg in 1960, was the American correspondent for Stern from 1990 to 1995, and its Asian correspondent from 1995 to 1999. In 2000 he published Cracks in the Great Wall, a nonfiction book about China. 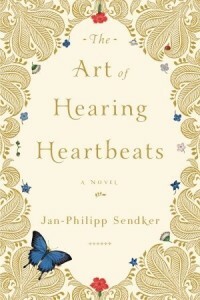 The Art of Hearing Heartbeats was his first novel. Open Door Bookstore was on hand to sell The Art of Hearing Heartbeats, the and its sequel A Well-Tempered Heart, along with his newest book, Whispering Shadows. Thank you, Jan-Philipp Sendker for graciously signing our books, answering our questions, and providing an enriching evening with a favorite author! See Event poster: Jan-Philipp Sendker is Coming! 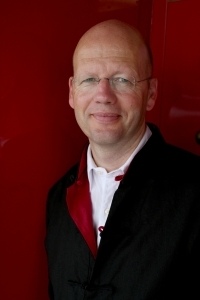 Visit Jan's websote: Jan-Philipp Sendker. ​“Books are vehicles that transport us to different places in different times. When we started Two Towns-One Book in 2010, we wondered where we would go. The first year in The Book Thief by Markus Zusak, we traveled to Nazi Germany in 1939 and found Liesel, Rudy, and the Hubermanns on Himmel Street in Molching, Germany. Next came Unbroken by Laura Hillenbrand, where we admired Louie Zamperini’s courage and resiliency. We traveled with Louie to the 1936 Olympics in Berlin, his enlistment into the Air Force, then his airplane being shot down in the ocean, drifted with him for days in the Pacific Ocean and suffered in his imprisonment in the POW camps in Japan. ​Last year, the book chosen was in a lighter vein. We traveled with contemporaries Brent and Josh, the fabulous Beekman Boys, from New York City to a farm with a beautiful mansion in Sharon Springs, New York in The Bucolic Plague: How Two Manhattanites Became Gentlemen Farmers by Josh Kilmer-Purcell. A bus field trip took some of us to Sharon Springs, where we toured their farm, met the goats, visited the Beekman 1802 Mercantile Store, lunched at the American Hotel, and experienced the town first hand.